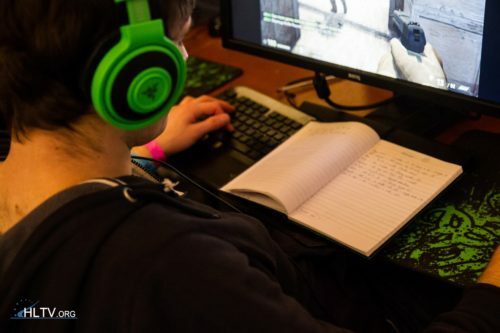 Ex6TenZ: "We just read [Virtus.pro] very easily"
To hear about Belgium's group stage showing at WESG, we caught up with Kévin "Ex6TenZ" Droolans shortly after his team secured a spot in the playoffs. A rough start against GameAgents didn't prove to be costly for Belgium, who managed a comeback on the Terrorist side of Cache to pick up their first win in Barcelona. Adil "ScreaM" Benrlitom and co. managed a similar feat on Cobblestone, beating Virtus.pro 16-10, despite being down 9-6 after the Terrorist half. Belgium was competitive against Envy and Russia, but couldn't pick up wins. 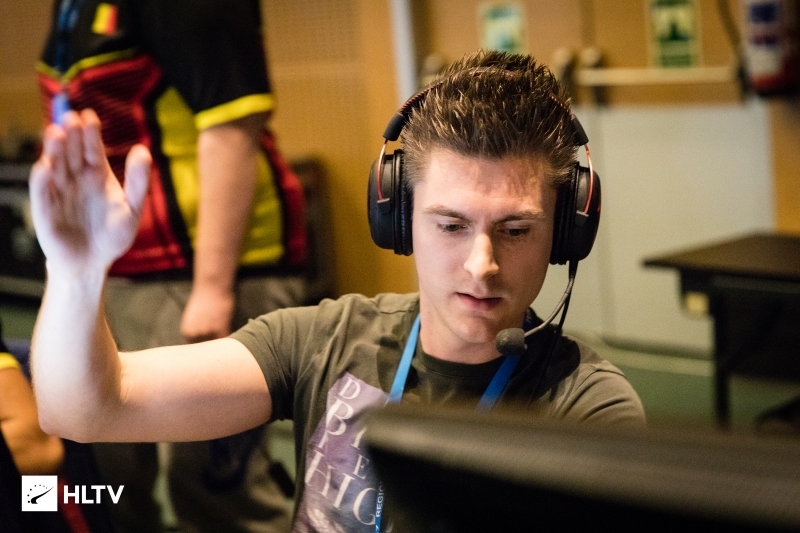 However, they did still secure the third place in the group, finishing above Virtus.pro. Shortly after Belgium's defeat to Russia, we sat down with Kévin "Ex6TenZ" Droolans and talked about the opening match, eliminating the Poles and more. You've been playing with LDLC for quite a while now, not being able to get to the old heights and now you have a chance to play with a Belgian roster. Does it feel a bit liberating, playing with a new team, new players, trying out new stuff? Yes, it's really fun. ScreaM has a lot of experience and can call with me, he can help me, he is a good fragger. But on the other side, Faris and YOUYOU are less experienced. YOUYOU has some experience, though, Faris is not even a semi-professional. So we have to explain to him a lot of things. But it's fun to go through the group stage with a player for who this is the best result of his life. It's cool for them and I'm happy for them. How did you decide on these two players? ScreaM and to1nou you played with before, but YOUYOU and Faris, how did you decide on them? We don't have a lot of good players in Belgium, so it's obvious we had to pick them. The problem is that we have two AWPs, to1nou is a pure AWPer and YOUYOU is the same. Se we have to do some choice between them, but we picked them because it was the obvious choice. Coming here, did you get any time to prepare anything, what did you focus on to play the best you could? We didn't practice, we didn't have time to practice with Team Belgium because we have LDLC and ScreaM has team EnVyUs, they have a lot of tournaments. So we just improvised, trusted the call. I call at least 80% and my teammates do the rest. Just trust yourself and your teammate and let's go. The first game of the tournament is always a bit shaky and it started pretty rough for you against the Hungarian side. Was there any fear in the young players, what was the mood like in the first game? I knew that it was the most important game to win. We began very badly, they were leading 9-1, but we kept focused. I knew that if we come back they were going to stress, and after we will beat them due to more experience. I knew that we could come back. The key match for you qualifying for the playoffs ended up being the Virtus.pro game and the CT side where you went 10-0. What was the key to the lock-down on CT Cobble? We really played very well. On T side, it was so difficult because I had to explain to Faris how he should play, to YOUYOU as well. So we won six rounds as Terrorists but we could've won just one round, it was very hard for us. After that, on CT, we just won the pistol and we played very well, like a team. We did good moves, on 50 seconds we went for info, we knew everything and we just read them very easily. And I think that they really didn't play well, it was easy to kill them because they were missing shots a bit. I think that the problem was in their head. To close it off, you played four games, how happy are you with the showing so far? I'm not that happy because we lost the last two games, so I'm a bit sad, we could've won both. Now we are the third seed, so we are going to play against a second-placed team from the group stage, and it's probably going to be a good team. I'm happy that we are going to China, it's a good result because we could have been eliminated. I mean, I'm not happy right now because I lost, but I'm going to be happy in about 20 minutes. he wasn't being disrespectful. its the title and poor highlighting that made it sound like he did. He was like saying, VP made it fortunately easy for them. your favorite Player is a better bait then your comment. We did good moves, on 50 seconds we went for info, we knew everything and we just read them very easily. Is the full statement. They went for info and read VP easily. Title makes it sound like Ex6tenz is bragging. That is what #17 was trying to say. Lol there is nothing wrong with the title, that's literally what he said. If you call this a clickbait title then you have no clue what an actual clickbait is. And please tell me how should one put a quote in the title of an article, if not out of context? Should he have put a whole paragraph of text in the title or what? Nothing is misleading there. These esports journo puppets not even questioning the integrity of the games and just pretending everything's normal lol. No wonder the sport's gonna be ded soon. +1 no association to regulate anything, all associations are influenced by esport orgs directly or indirectly, ez money like phantomlord then when everything crumbles just pay a small fine cuz there was no regulation or laws concerning this before and keep the profit. I miss this(ex6 and Scream playing together). I still remember VeryGames team during their era when they and NIP reckted everyone. 2013 ? Also he won DH Stockholm with titan at their first lan with kqly. Educate yourself before commenting. old neo was top 1 lmao in 1.6 he is bad in csgo though. In 1.6 Neo was the best,undisputed. F0rest and getright tied 2nd place,close behind. Gap is very small,but still neo was a bit better. It was all about the movement in 1.6. Yes,im from India,not poland. You got your flag wrong as well i suppose? You cant change a fact and force others to accept it lol. its common knowledge that neo was the best in 1.6. even swedes agree to it. But Forest cs 1.6 and go combined. You retarded? Ex6 brought shox and kennyS to their peak. Especially shox, who he was able to use to an unbelievable level of success. He was the first person in history to teach people to play CS tactically. There's a reason why Titan/VG were able to beat every other team in the world except nip during the early days. That's because of Ex6tenz. If you think the trophy means everything and no trophy is no success, you're a retarded newfag with less than 10 IQ. This guy is the most under rated player in the world. Absolute amazing IGL, game reading. I think the problem for him is to find out 4 players that understand and can play with his INSTACALLS full time. The fact is CS is too amateur still that make him never to be aloud to make a line up play as he want. I FEEL YOU BRO!!! and some of them called them Virtus.Plow..
EX6TENZ: "I DIDNT EVEN HAD TO CALL [AGAINST VIRTUS.PRO]"
Ex6 not very happy with your title choice Professeur twitter.com/LDLC_Ex6TenZ/status/93409555..
so did Taz call him respectless on twitch yet? why does Ex6TenZ looks like that guy from LinusTechTips? Ex6TenZ is a great player and leader. He deserves to compete on the highest level. Also he can be a rifler or second awp, he is not that old and not struggle so much like other captains. Current generation of top french players are his own merit. > Faris is not even a semi-professional. So we have to explain to him a lot of things. Is it that hard to invite Davidp? He really thinks they were able to read VP? 3 rounds were due to the heroics done by Youyou. Too quick shots while holding B site in the rounds where VP completely outplayed them in Mind games. VP did everything correctly just didn't had the Aim to complete the job. Belgium played well, there's no denial, but that doesn't mean they outplayed VP.